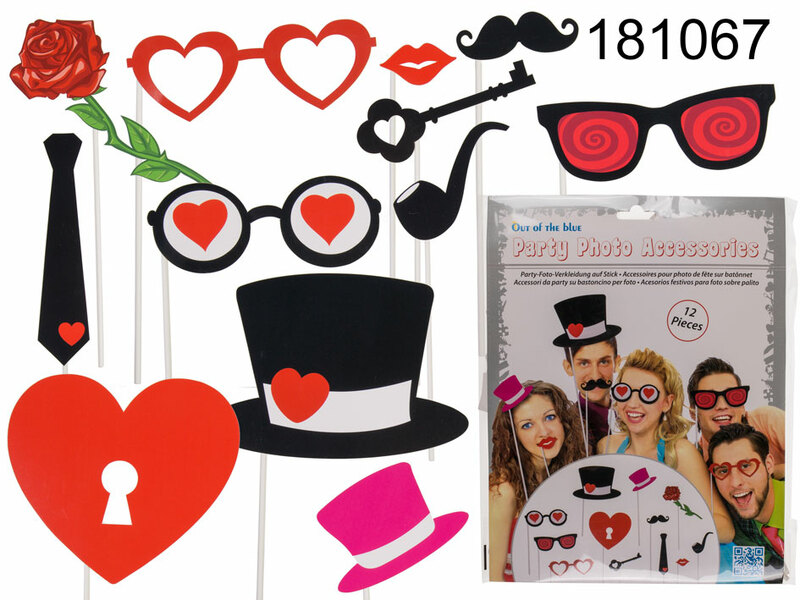 Set of 12 colourful paper photo booth accessories on a stick. Perfect for photo shoots and themed parties. Great item for office parties. The set includes items like red lips, mustache, hats or a tie. Each piece has its own stick. Size: 30 x 23 x 2 cm.